On last Monday, August 20th 2013, POND'S launched its latest product line which is POND'S Acne Complete Solution in Kota Kasablanka. 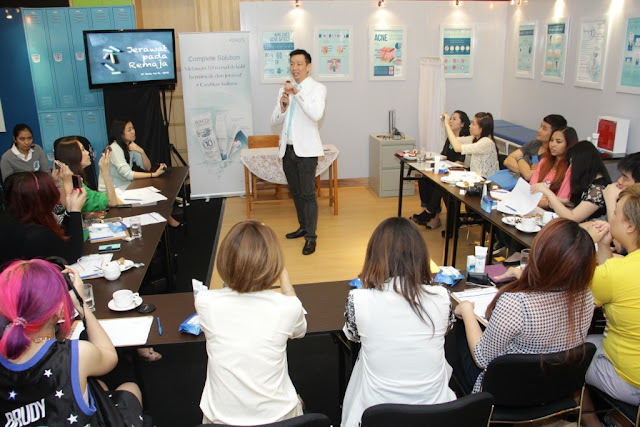 The format of the gathering itself is very unique, it's like entering a classroom where we're taught about acne and skin care by a very good-looking teacher (aka doctor); dr. Eddy Karta SpKK. Before we enter the classroom, there is also other decoration that makes us feel like we're back to our high school. We were also given a board along with press release and product information, but they made it so lovely, looks like a questionnaire we received in school! The presentation was delivered in such a way that left us fully-concentrated but still felt so much fun. It's as if we're in the classroom. So I've learned so much by attending this event, especially regarding skin care and its problem. I'm not surprised, but do you know that OUT OF 10 TEENAGERS, 6 OF THEM HAVE PROBLEM WITH ACNE AND OILY SKIN? I'm no longer a teenager, but I'm still struggling with acne and sometimes, oily skin. Especially ever since I started working, the air-conditioner, the harsh weather and pollution, and also disturbed sleeping hours have all supported the acne to appear more and more. Oh no. I also feel the same as those teenagers, when we have acne, we tend to feel less confident. That tiny red bump matters so much to us. It was revealed that there are 10 skin problems that occur the most to teenagers, which are: oily skin, acne, dull skin, blackhead, whitehead, enlarged pores, dark spots, uneven skin texture, uneven skin tone, and redness caused by inflammation of acne. 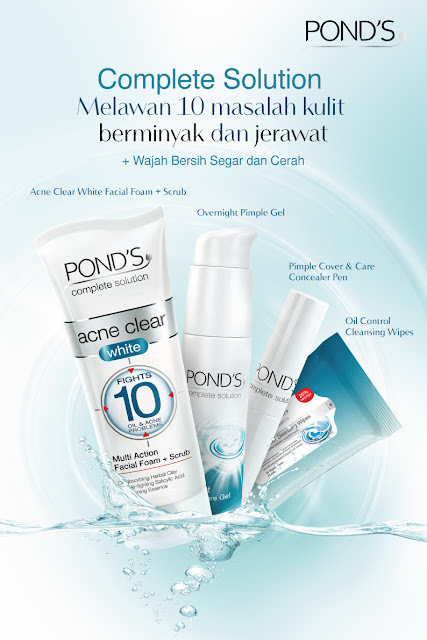 - Acne Clear White Facial Cleanser which contains Salicylic Acid, Herbal Clay, Gentle Scrub Beads, and Brightening Essence to get rid of 10 skin problems while brighten up the complexion as well. - Oil Control Cleansing Wipes which is very practical since it requires no rinse. Not too 'wet', which means GOOD for meh! Pimple Cover & Care Concealer Pen that can cover and take care of your pimple AT THE SAME TIME. It's a must have item for you to bring it anywhere as your instant acne survival kit. Overnight Pimple Care Gel which helps us fighting with acne while we're sleeping! There was also a live tweet competition which added more enthusiasm during the event itself. After finished with the talk then we took few pictures together! Yayy! WHAT'S INSIDE THE GOODIE BAG? TELL YOU LATER ON THE NEXT POST BABES!